Betfair was established in 1999 by two men – Andrew Black and Edward Wray – who claimed to be bringing a revolution to the internet. To be fair, they are one of the top online casinos – with upward of 4 million members and an average of one million active users. Any Betfair casino review needs to take those sorts of numbers into account! Betfair is better known for its sports betting than its online casino. However, there is a whole different company that deals with its casino operations. 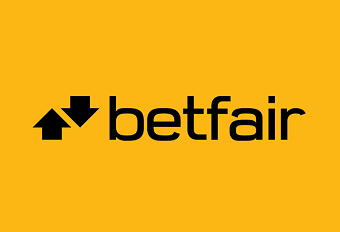 Betfair Casino Limited and Betfair Entertainment Limited are both responsible for elements of the online casino Betfair offer. These companies are part of Betfair PLC, which is based in Malta. The company does also have operations in Ireland, Australia, the UK and the US. This is a big company with an annual turnover of nearly £400million. It was listed in the London Stock Exchange FTSE 250 in October 2010 – meaning it is in the top 250 of all companies in the UK. Betfair is regulated by the UK Gambling Commission – but it is also licensed and regulated by the Malta Gaming Authority. It is also worth mentioning in a Betfair casino review the efforts the company go to in order to make gambling ethical and fair on the site – we particularly like the connections they make with expert associations like Gamblers Anonymous and Gambling Therapy – it shows a positive attitude to the safety and experience of the user. As you would imagine from a top company, which partners with some of the best developers, Betfair user experience is top-notch. The site is secure and the gameplay fluid. The movement around the site is intuitive – and there is a general sense that there has been a lot of work honing the user experience on the website. It may not have the visual pow of some of the younger sites that have taken inspiration from gaming consoles, but it will please the traditionalists who want the feel and atmosphere of the casino in their home. The website itself has been developed by Playtech – so there is a lot of experience brought to understanding how the site should work. The reason we like the Betfair site so much is because you have choice. You can play instantly through the browser, there are downloadable games options and there is the mobile app – all of which give you maximum access to the games offered and the available bonuses. The downloadable software is a little slicker than the online browser versions – but only minimally. There is also a little more choice if you play through the browser – with a handful of games only available if you play through the website. As well as offering games from Playtech, the site uses games from a range of developers – including IGT, Microgaming, Endemol and Barcrest. By leading with one award-winning supplier you get the consistency and excellence of gameplay – however, by including a range of developers you also gain from the variety and richness of experience that this provides. What we like the most about this site – and is a major reason why this is a glowing Betfair casino review – is that the navigation is so clear. Across the top of the homepage you will find the links to the casino products that will be interesting to you – which means you can get started on the site quickly. For any Betfair casino review, the main criteria for success has to be the quality and variety of games. Betfair do not disappoint – as they have a generous selection of some of the best games you would hope to play. This is the Betfair welcome bonus for regular users – the chance to look around and try new experiences. There are over 350 different games to play – although around 200 of these are slots from Playtech. As Playtech is the main provider of slots you will find a lot of these are themed to DC Comics. There are also sports and TV-themed games. We particularly like the Top Trumps style games and the ones based on Britain’s Got Talent. You will also find some of the best progressive jackpot experiences on the internet. We like that they offer the mini, minor, major and grand jackpot – we like the building excitement of this scale of progressive jackpot. A small part of every bet goes into the jackpot and there is a great chance of winning one of these – which are selected at random. To win a jackpot you need to match three identical tiles. The Betfair welcome bonus may seem surprisingly low key considering the size of the site. The Betfair welcome bonus is a £100 – with the same sort of play through terms and conditions that would expect from other sites. This might not inspire new users so much – but as they have around 4 million users then this probably isn’t an issue. They tend to maintain the 1 million active users through other interesting promotions and bonuses. A Betfair welcome bonus might not be anything to write home about – but it is well worth getting involved in the loyalty scheme and the previously mentioned progressive jackpots. There are a lot of opportunities to gain free spins and cash match-ups as you play – so it is well worth ignoring the initial disappointment of the Betfair welcome bonus. This is one of those Betfair casino reviews that raves and raves about the site, and the games, and the usability, and more – and with little to downplay the brilliance of the site. To add some balance – the website has never won any of the top industry awards – which suggests it is good at its job without necessarily being that outstanding.